Increase your odds throughout the coming deer season. It’s no secret that every deer hunter with a pulse loves to hunt the rut. 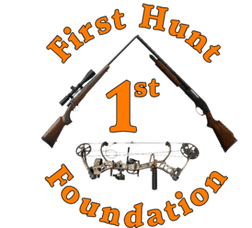 The unfortunate truth is that when you’re booking a guided deer hunt, there is always going to be a limited number of spots available during that coveted piece of the season. However, you can have just as much success in the early season and post-rut as well. 1. Don’t leave your rattling antlers at home during the early season. Most bucks, young and old, will lightly spar with each other in the months leading up to the rut. Rather than smashing the rattling antlers together in a way that imitates an all out battle, try a soft rattle with minimal pressure. This will draw the attention and curiosity of bucks that are either out of range or wandering by. 2. Once the rut kicks off, forget about focusing on a big buck’s home turf. In the midst of chasing does, many bucks will leave their base area for days on end, sometimes weeks. Change your focus and follow the does during the peak of the rut. Keep your eyes open for any chasing activity. If you can locate a hot doe, take a note of the area she’s in because chances are there will be a variety of bucks coming into that area to check her out. 3. Look for larger than average scrapes. Bucks of all sizes will share a central scrape in heavily traveled areas, and these are great spots to catch big bucks as they refresh the area with their scent. The prime scrapes will often have a licking branch and will be surrounded by numerous smaller (average) scrapes. 4. Don’t be afraid to use calls, scents, and decoys. The peak of the rut is the best time to break out whatever tricks the hunting industry has to offer. There is about a two week period when using scents and decoys in conjunction with grunt and snort-wheeze calls can be extremely effective. The biggest, smartest rutting bucks get angry and stupid when challenged by a snort-wheeze or grunt. Combine that with a realistic decoy that has been wiped of human scent and covered in doe or buck urine (depending on the decoy). It’s a deadly combination! 5. Many hunters who’ve gone through the rut unsuccessful will hang up their gear and call it a year. Don’t! About a month after peak rut, the does that didn’t get bred will cycle back into another estrous. It’s a short window and not near as aggressive, but you can still use rut tactics to harvest big bucks during this time. A few weeks after this second estrous cycle, you’ll have another chance. Early doe fawns from last spring will go into a minor estrous cycle, and bucks will show some rutting activity once again. I shot one one of the best bucks of my life after the rut. When it comes to planning your next guided deer hunt, don’t rule out booking just because you can’t get in during the rut. The rut is certainly a favorite for most hunters, but early season makes for more pattern-able bucks and late season offers some rutting activity while also allowing hunters to have a better grasp on where bucks are hanging out. It’s not uncommon for an outfitter to take as many big bucks before and after the rut as they do during the rut. Ask your outfitter or consultant what they recommend, and use the tips above throughout the coming season.